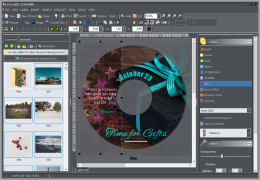 CD Label Designer version 5.4 is ready for download. This update contains several improvements and fixes and it’s free for all v5.x customers. One of main additions is support for 1/8 inch (3 mm) bleed while exporting and printing. So far, only disk and business card labels had this possibility, but now it’s added for other formats too. We have also added some help for first time users and changed trial limitation: if you are still evaluating, now you can choose to print either full-quality with watermark or with reduced quality. We also fixed some bugs, mostly in editing: undo option was causing troubles under some circumstances, Right-click -> Insert now places object on the correct position, etc. This entry was posted in Uncategorized on November 29, 2014 by vradmilovic.